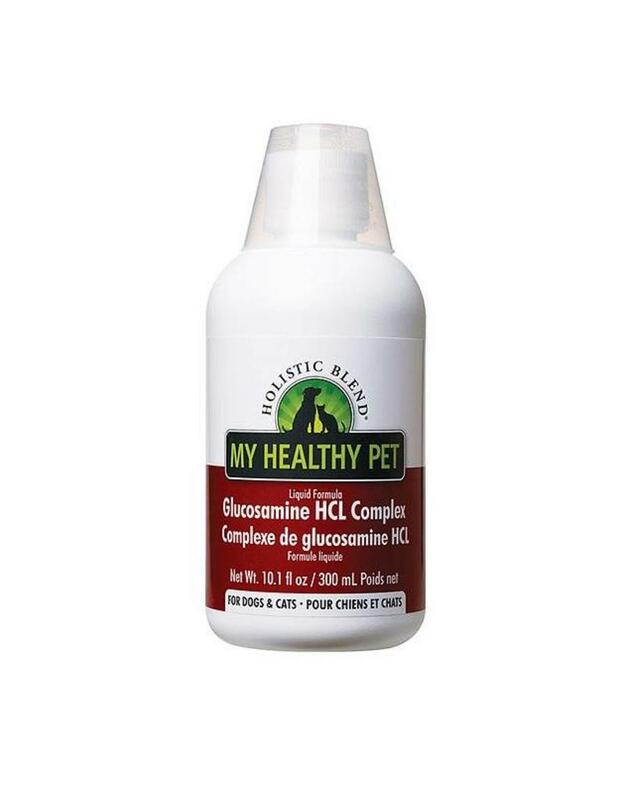 Holistic Blend Glucosamine HCL Complex for Dogs & Cats will help improve your pets cartilage health. Great for use in both cats and dogs! Each 5-ml serving contains 500 mg of glucosamine HCL, this will help rehabilitate any damaged cartilage that your pet may have. Also great for joint function. Use regularly to help reduce inflammation so your pet can enjoy less aches and more comfort! Ingredients: Glucosamine HCl, Yucca, Anise, MSM.